As I write this, John and Duck are at the Davis-Ward Nunataks area! Our put-in this year is kind of complex because we're being supported by the Basler aircraft (a converted DC-3). This plane can carry a lot more than a Twin Otter, but needs a better surface for landing. With that in mind, John and Duck are going out a few days ahead of the rest of us, with a snowmobile and a groomer (basically a combination rake/grader), to prepare a runway. right now the schedule suggests Jani and Amy will follow on Saturday, with Deon and Ralph following on Monday. John and Duck and I went out to Willy Field for their flight; those two to get on it, and me to keep track of the 300 lbs of cargo they had to kick out the back (because the twin otter couldn't carry the full load John had hoped for). 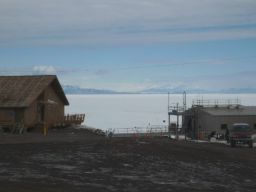 It was gorgeous weather here in McMurdo, sunny, calm and warm. I hope they found the same at the Davis-Ward Nunataks! They've been on the ground for about a half hour, and we'll hear more from them in detail tomorrow. Do you want the good news or the bad news first? Okay, bad news. As you know, John and Duck were out our field site in the Davis-Ward nunataks area to groom a runway for our later flights. Basically this involves pulling a modified plow through the snow drifts to make a flat surface for the Basler airplane to land on. We estimated this would take 6-8 hours. Unfortunately, about 3 pm yesterday afternoon John called me via Iridium phone to tell me that a weld on the groomer had broken before they could complete the runway. Ooops! The good news is that we found a solution quickly -- there's another groomer in town here and a couple of possible Twin Otter flights over the next few days that could swap the good groomer for the bad one. Right now the schedule suggests the groomer will go out on Monday morning, but a few minutes ago I was told it could be tonight; and in any case, it delays our overall schedule only by a day or so. Given that some science groups around town have been delayed many weeks, and are even thinking of giving up for the season, we're doing pretty well. You all know how being away from the comforts of home and easy access to familiar items can leave you feeling a bit adrift. ANSMET veterans know this intimately, and have an uncanny ability to send just the right things at just the right time. Marie Keiding! I rifled through many skua boxes (unwanted odds and ends - ask Ralph how profitable these adventures can be - ahem - Scott Tent...) looking for socks. But she knew and had these in the mail for me, along with chocolate, nuts, and HOMEMADE MUESLI. Big hugs and kisses to both of you, and to any future letters or packages we'll get here and in the field. 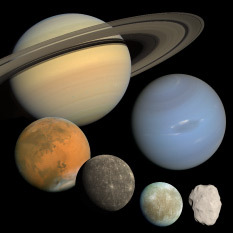 I hear from Barbara Cohen that there is another on on the way (and yes, Barbara, we'll find you a nice lunar SP-A breccia). :) It's nice to be loved! It's life, Jim, but not as we know it! Skuas are birds that take pleasure in tormenting Ralph! Macopoly: the gear stores' custom floor-painted Monopoly board. This really is a place of contrasts. I knew it was an ugly industrial town before I came down, but have become more forgiving since then. People commented earlier that the large US base was an ugly mark on an otherwise beautiful and elegant landscape, but I think that the drab mostly comes from the snowless outcrop. To me at least, the landscape would have been ugly even without the base. 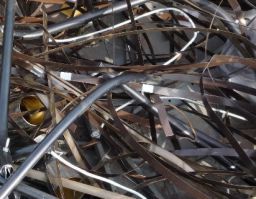 The industrial aspect is a necessary consequence of running a large science operation. For the most part, McMurdo is populated by logistical personnel. You will find all types of people doing all types of jobs here. My narrow-minded image of a base run by construction guys was quickly dispelled the first day we arrived and I almost stepped out in front of a front end loader. It was driven like a tank in a war zone by a petite young lady -- stylishly sporting a pair of overalls. I call the logistical people sloppy-joes. I invented this term to counter their term for us scientists..."beakers". That's right, I'm a Beaker. To them we are only passers-by with whom they have little contact. Some sloppies turn up for public science talks (we gave one the other night), while others will rather opt for the bar. Having said that, another interesting fact is that many sloppies have PhD's, but made their way down here to do logistical work like scrubbing floors, etc. That means the person behind the counter might be smarter than you! 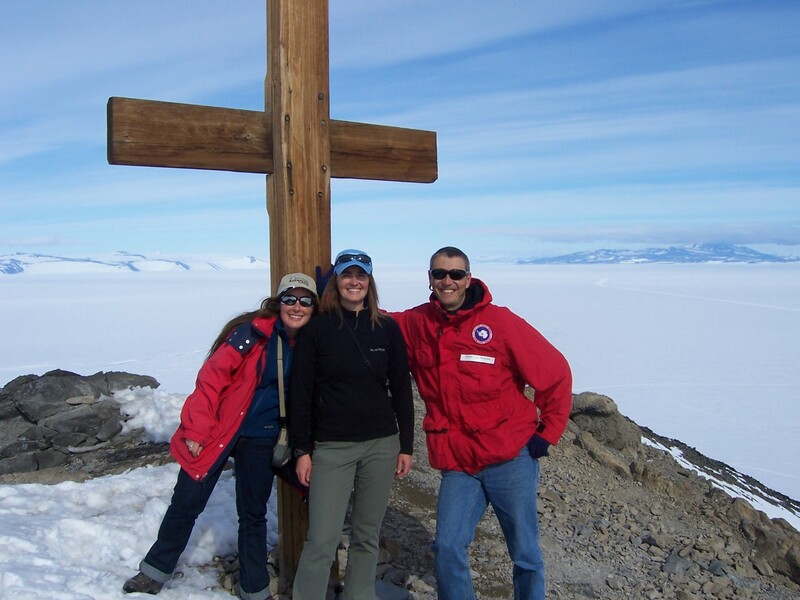 As field scientists, we only spend a short amount of time in McMurdo and I cannot help but feel like an outsider here. The sloppies have a tight-knit community and it's obvious that we are more transient here than they are, despite the fact that they are mostly here to support our science. My roommate for example has been coming down here for 15 years, and has married family that also work here. The food they make for us in the mess hall is excellent! There are 4 meals every 24 hors, and I usually eat too much. It's hard not to sample all the good food they put out, and dessert is impossible to turn down. Although it makes sense, I was surprised to see that they take sanitation very seriously down here, so before you can go into the mess hall, you are required to wash your hands at one of the washing stations at the entrance. 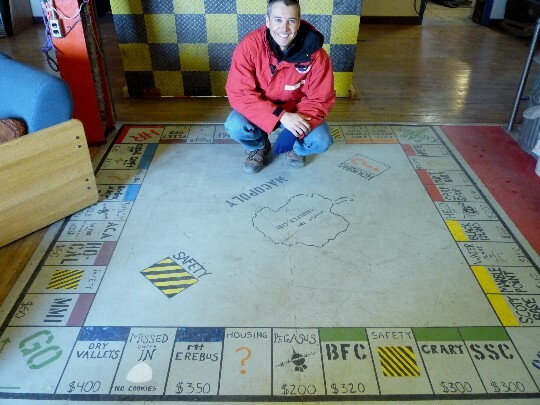 An interesting thing at Scott base (New Zealand) is that you must take your boots off when you come into the base -- very much like what we do indoors in Hawaii. As a result, it's so clean you can walk around in your socks without getting it dirty. I have to say that after all the hype I heard about the bar at Scott base, I was rather disappointed. It's nice, but not nearly as nice as I expected. The Kiwi's make up for it with spirit and hospitality however. 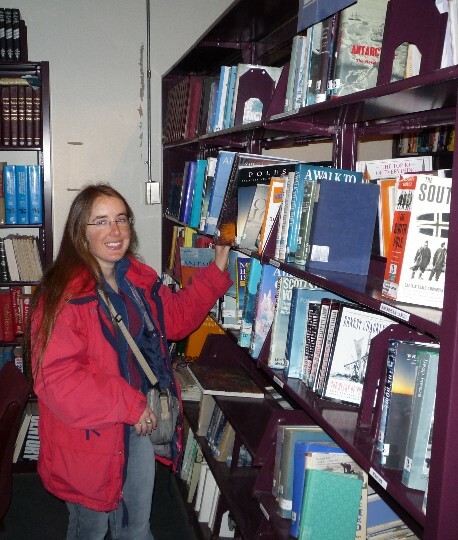 Their little store there has a few things that I could not find at the McMurdo store...like a map of Antarctica! Mcmurdo has 3 bars - a coffee & wine bar (which is our favorite), a non-smoking bar, and a smoking bar. There's a greenhouse constructed by volunteers, a band room where anyone can go practice an instrument at top volume (there are several excellent bands in McMurdo), a bowling alley, a pool room in every dorm, a video store, a recreational equipment rental facility (snowboards, skis, footballs, etc. ), an annual rugby match with Scott base (in fact the guy whose bed I took was apparently Medivacced to New Zealand due to a rugby practice injury), etc. OK, Deon's off for a Saturday afternoon nap now, so take care, & Joe, if you're reading, safe travels and see you in a few days! Update from Davis-Ward Nunataks: found one! Hi there, last night I talked (via Iridium phone) with John and Duck. Having broken a perfectly good groomer preparing the skiway at Davis-Ward Nunataks, they now wait patiently for tomorrow, when we are scheduled to send them another. 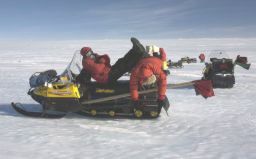 They report that the weather is pretty normal (sunny, winds around 10 knots, temps around -10 Fahrenheit) and that they spent most of the day taking apart the broken groomer and hauling it back to their camp so it can be transported back to McMurdo for repair. They also found one meteorite, a little one about the size of a peanut. John asked, "Am I done now? Can I come home?" but of course this specimen falls far below the expectations of the meteorite curators. With that in mind, I suggested he practice catch and release tactics -- throw it back and hope it grows (just kidding on that, we don't let even the little ones get away). 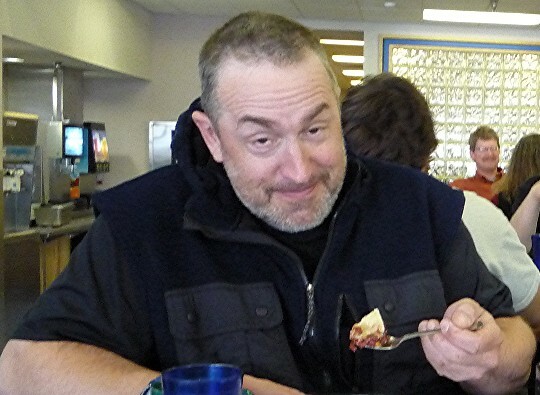 Here in McMurdo we're amusing ourselves in many different ways. For me, this bright and calm sunny morning was a chance for a ski. I took a shuttle out to the Willy Field snow runway and then skied back the 7 miles to land (and then walked the remaining two miles back to town). The Willy Field road is packed and groomed snow; on par with the best groomed skating trails you can imagine but about 100 feet wide. Gorgeous views of Erebus, nobody else out there in the early morning, absolutely engaging. Now, after brunch, my brain is happy and smug and my muscles are starting to protest. Pain is just weakness leaving somebody else's body and lodging in mine. Ouch. The picture is from a few years ago, taken by Cliff Leight on a similar day while he and I and Don Pettit were out skiing. I thought I’d report on a few of our adventures around Mactown during our delay. 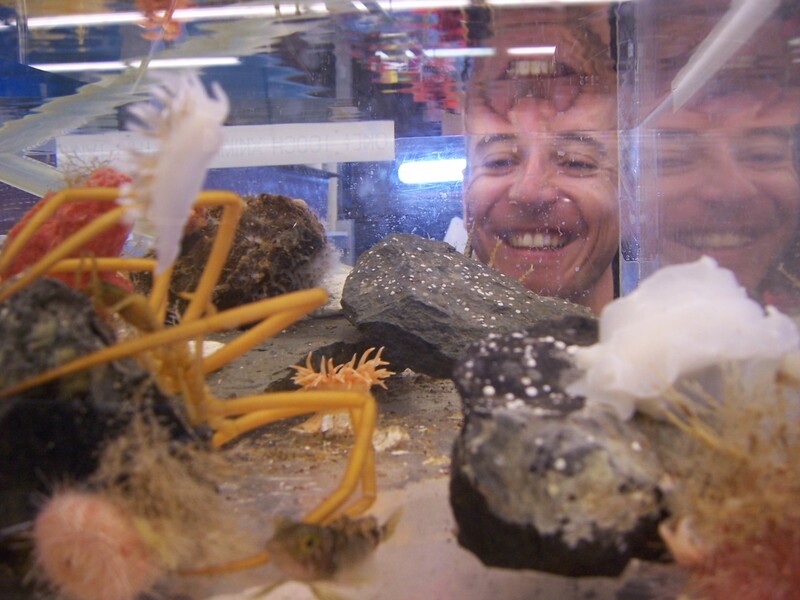 Yesterday we visited the small aquarium in the Crary Lab Science building, which had an awesome tank where you could get touchy-feely with the cool Antarctic sea life! I touched all of them, except for the sea spider in the foreground of the image. My nemeses exist even in the freezing seas of Antarctica! After that we climbed Observation Hill, a rocky climb on a sunny, “warm” (above freezing) day, and were rewarded with spectacular views. On top sits a cross erected in 1913 in honor of the Scott expedition to the South Pole. Looking out, we saw the vast expanse of sea ice, some seals far below, New Zealand’s Scott Base and a great bird’s-eye view of McMurdo. 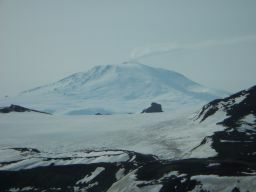 The view of Mount Erebus was especially impressive, complete with gas emissions from the summit being blown away by wind. 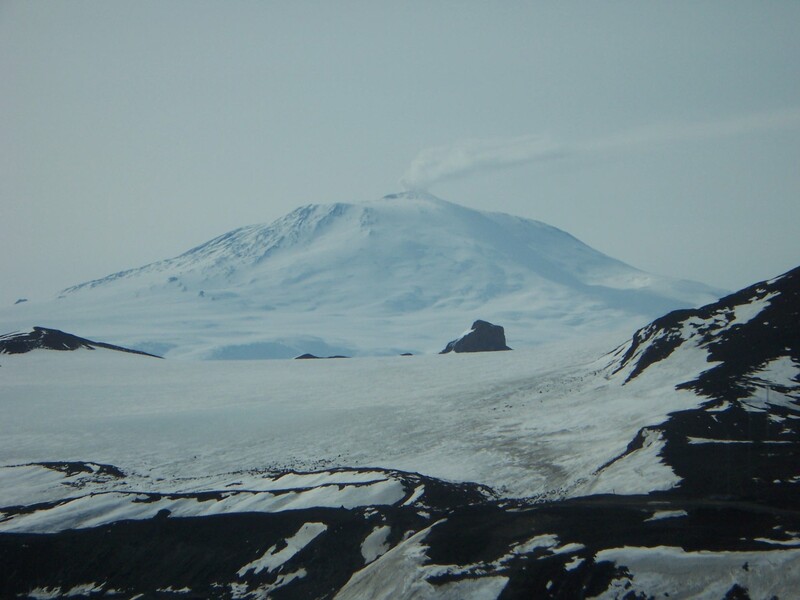 I find this volcano ironic; it has one of the world’s longest lived lava lakes and is on world’s coldest continent. Fire and ice, so to speak! In the evening we attended a women’s soiree, a variety show with performances by several women from McMurdo, ranging from several renditions of songs written here in McMurdo, to Antarctica-inspired poetry, to belly dancing and twirl dancing (imagine fire dancing but with lighted globes instead of fire). It was good entertainment on a Saturday night here at the bottom of the world, and fun to see yet another side to the unique and inspiring people who work here in McMurdo. P.S. Hi Nick, and thanks for being a regular fan of our posts! It's Monday afternoon here in McMurdo, and the last 24 hours have not resulted in any progress for our team. Obviously that's not welcome news, but you can't consider it bad news either; the delays are all weather-related and in spite of the fact I submitted the proper weather-request forms, conditions are beyond my control. We had a flight scheduled for this morning at 9 am that would have dropped the new skiway groomer off at Davis-Ward Nunataks; but conditions in McMurdo were pretty poor, and the aircraft would have continued on to the South Pole station, where conditions weren't optimal either. So that flight is cancelled for the day and that means our 3 Basler put-in flights are pushed off at least a day as well. 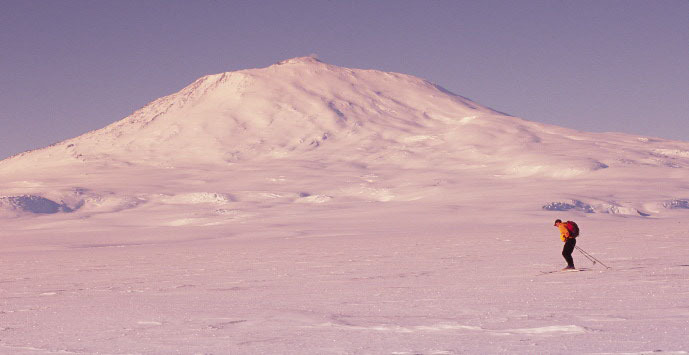 Joe Boyce, our seventh team member, was scheduled to fly from Christchurch to McMurdo today, but his flight was also cancelled. That one's really too bad, since the weather here cleared up a lot and has been very clear since about 11 am. 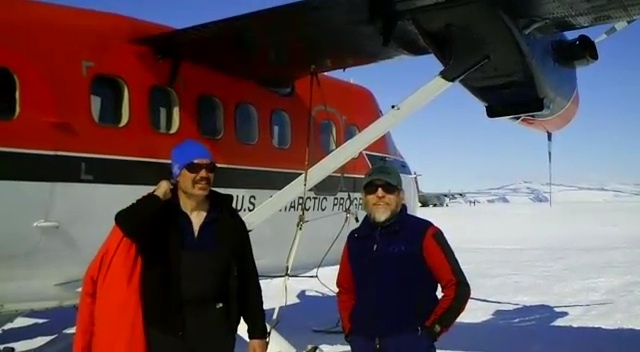 Out at Davis-Ward, John and Duck report that they've found 16 more meteorites as they've walked around the blue ice near their little camp. 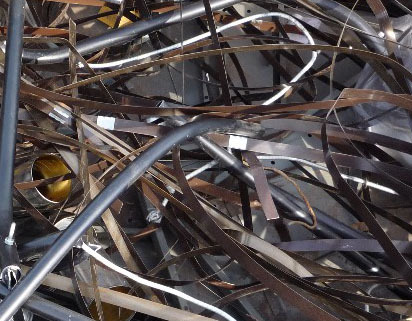 They also jokingly warned that the Twin Otter pilots better land carefully, since they've marked their finds with tent stakes, propane tanks, ice axes, and other items not suitable for turboprop consumption. Yesterday brought mixed feelings. Joe arrived from Christchurch and has almost finished jumping through all the hoops that will make him ready to deploy with us to the deep field. Our second groomer still has not gone into the field, and we are hoping that if the weather at South Pole clears today, it'll go in. In the best scenario we ourselves will only go on Friday. The result is that Ralph has decided that Joe's presence and the delayed deployment schedule would make it logistically inefficient for him to go out with us, and if all goes to schedule he flies home Thursday! All of us are terribly disappointed that this has become a reality so soon, but the upside is that he gets to see his family for Christmas. I went for a haircut the other day, and heard a funny story from the hairdresser (formerly Hungarian, 2 children moved out of the house), as to why she had come down here: Working in Denver, she saw an ad on Craigslist for a hairdresser in Antarctica. "Whose hair do you cut in Antarctica? The penguins?" She thought it was a joke, and played along. As she put it "joke is joke". (I find it incredible that they advertised on Craigslist!) After a while of emailing back and forth, one day two RPSC guys unexpectedly pitched up to interview her at work, and she took the job. She's already busier here than she was in Denver, apparently. 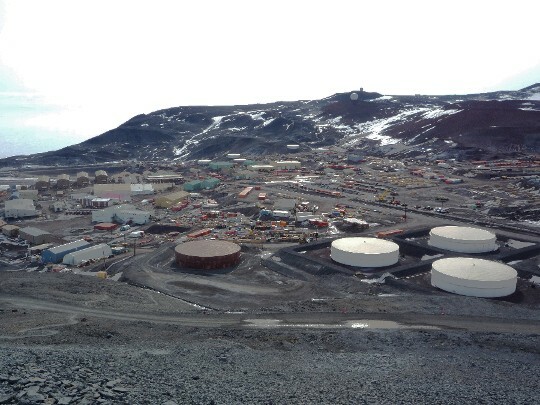 The last few days have been cold in McMurdo... -18 C (0 F) with the wind chill (Then again, I see that the U.S. mainland is pretty cold in itself!). We had snow 2 days ago, and the snowflakes blowing at high speed through the air was pretty. 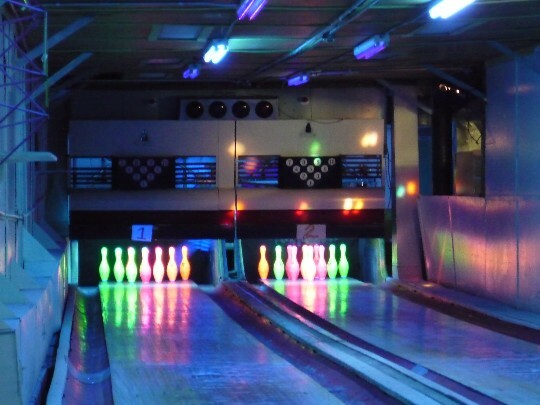 On Sunday we did some tenpin bowling in the old bowling alley on Base. 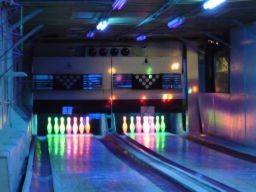 It's interesting because volunteers still set the pins by hand. Unfortunately we were beaten by the Exlporatorium group that seems to be permanently on a sugar-high. We did have fun though! Ralph also teased out our darker sides by teaching us to play an Illuminati board game. All is well with Duck and John in the field and I half expected that John would've constructed a tar runway by now, using nothing but a Swiss army knife. They've found ~20 meteorites on last count, and we hope they find many more while we try to be patient with the delays. We've begun cycling through the food menu in the mess hall - a sure sign that it's time to deploy!